TrailBuilders | trail design, pedestrian trail builders, trail construction. 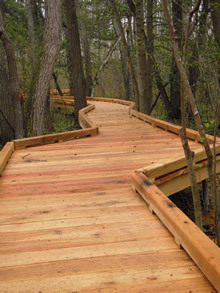 We offer a wide variety of trail services. From site assessment, to project designs, ecological study to maintenance we provide every aspect involved in creating usable trails for all that are natural and safeguard historical landscapes. More informaiton is coming soon. The clearest way into the Universe is through a forest wilderness. John Muir.